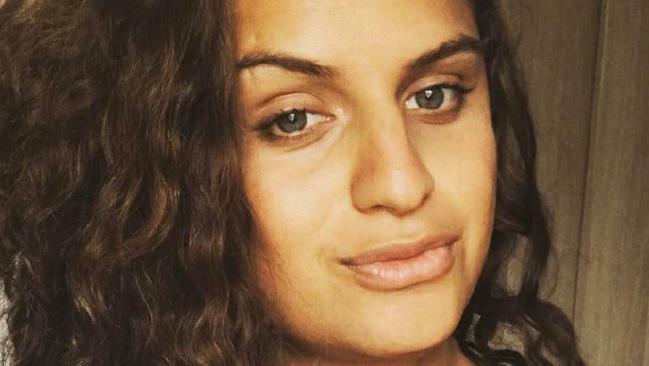 JADE Walker, the sister of Manly Sea Eagles star Dylan Walker, has been granted bail pending that she surrenders her passport, after she was charged with the manslaughter of her 51-year-old boyfriend. Police were called to a home in Brighton Le Sands in Sydney's south early on May 20 and found Gilbert Caetano unconscious. Paramedics tried to revive Mr Caetano, but he died at the scene. Ms Walker, 31, was arrested at the home and later charged with manslaughter and one count of entering a dwelling with intent. In court documents viewed by news.com.au, police allege Ms Walker "did cause the death of Gilbert Caetano in circumstances amounting to manslaughter [and] physically assaulted" him. "Jade Walker...did enter the dwelling house of the victim situated at Brighton le Sands with intent to commit a serious, indictable offence...[to] inflict actual bodily harm upon the victim in circumstances of aggravation, [and] she knew that there were persons present within the said dwelling place," one court document read. She today appeared in Sutherland Local Court via audio visual link, wearing prison greens, and a sullen expression on her face. Defence lawyer Brenda Duchen told the court "it was purely a domestic violence related incident". Ms Walker's mother Judy Walker, watched on from the gallery, as the court heard she would post $4000 as a "surety" for her daughter's bail. Ms Walker suddenly interjected via videolink. "I wanted to let [the magistrate] know I do have a property that I'm renting at the moment," she said before Ms Duchen instructed her not to provide further details. Jade Walker is escorted from Kogarah police station. 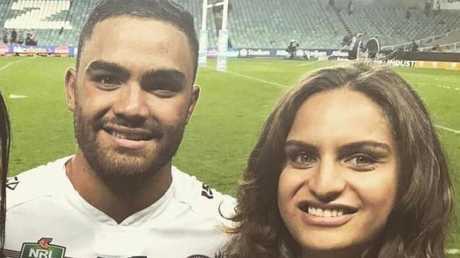 Jade Walker pictured with her brother and Manly Sea Eagles star Dylan Walker. The court also heard that a "forensic procedure" had taken place in which a sample of Ms Walker's blood, "nails ... and matter under nails" had been taken. 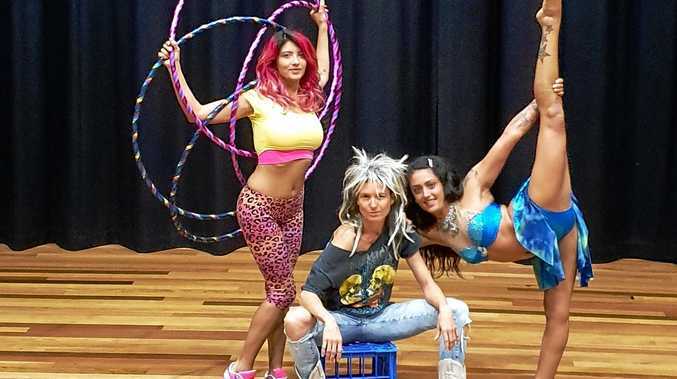 Magistrate Glenn Walsh said she was "not an unacceptable risk for endangering the community or individuals in the community" but that there was a chance of a "failure to show" in court again "because of the nature" of the charges. Ms Walker was granted bail on strict conditions including that she reside with her mother in Botany, abide by an evening curfew, refrain from drinking alcohol or taking drugs not prescribed by a doctor and not enter an international airport. The bail is pending Ms Walker surrendering her New Zealand passport to authorities. The court heard it's the only passport she has but that she may have difficulty locating it. She will remain in custody until the issue is resolved. Ms Duchen told the court her client still had "a job available to her" and would return to work upon release on bail. News.com.au understands Ms Walker is a hairdresser. Ms Walker was also slapped with an apprehended violence order on behalf of Mr Caetano's mother and told not to go within 500m of an address in Brighton. If she breaches those orders she could face up to two years imprisonment and a hefty fine. Mr Caetano was reportedly living with his elderly parents at the time of his death. Ms Walker described herself as transgender on her Instagram account. The Sea Eagles said they were supporting the Australian and NSW Origin representative player and his family. "Given the serious nature of the charges before the court and the need to let due legal process unfold, neither Dylan or the club will be making any further public comment," the club said in a statement last week.